2chic® is to . . . repair and rejuvenate. Strengthen and gorgeously restore hair with our exclusive Dual Repairing Complex, an essential blend bursting with antioxidant power, combining fresh Blackberries and the organic oils of Coconut. Caress your curly locks by drenching your textured hair in protection and moisture while restoring silky tresses from damage. Leave treatment in for at least 15-20 minutes. For best results leave in overnight. This sulfate-free hot oil treatment has no surfactants that dull, strip color, or damage your hair. It’s 100% color-safe, paraben-free, and cruelty-free. Look in the Ingredients tab for a listing of USDA certified organic ingredients. Giovanni hair care…bridging the gap between natural and salon quality. 2chic® Heating Directions: 1. Heat water in a pot or microwave. 2. Pour heated water into a heat-safe cup. 3. Place sachet into the heated water for 60 seconds or until oil is melted and warm. If necessary, knead product until oil has completely liquefied. 4. Shake well. 5. Check temperature. If sachet is too hot, let it sit to cool until desired temperature is reached. 6. To reheat, repeat steps 1 through 5. CAUTION: OVERHEATING SACHET MAY CAUSE LEAKING. ALWAYS HEAT PRODUCT WITH THE CAP ON. USE ONLY AS DIRECTED. 2chic® Directions: Use caution, as product will be hot. 1. Open sachet by twisting off the cap. 2. Apply the warm oil onto wet or damp hair and scalp. 3. Massage onto hair and scalp for 25 seconds. 4. 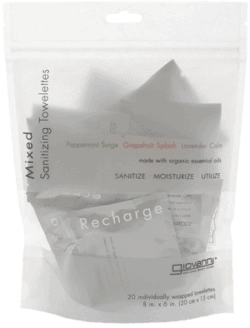 Leave treatment in for 15–20 minutes. For best results, leave in overnight. 5. Shampoo and rinse. 6. Repeat this treatment as often as desired. 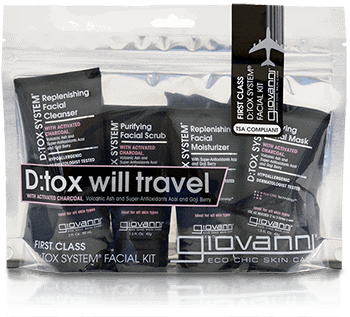 For extraordinary results, continue treatment with Giovanni 2chic® Repairing Leave-In Conditioning & Styling Elixir. Due to the chain of supply, certain Giovanni® products may have previous ingredient statements. Please refer to the ingredient label as affixed to or printed on each product. Please note this ingredient list is applicable only for product distribution in the United States. From time to time we may have ingredient changes to some of our products due to newer more natural raw materials or botanicals becoming available. These changes could make a product look slightly different from its predecessor in color, fragrance and texture, but rest assured the performance of the product will be the same or better with the ingredient change. We continually strive to formulate products as natural as possible while pleasing our customers with high-performance products. 2chic® REPAIRING CONDITIONER VALUE SIZE, 24 oz. © 2019 GIOVANNI COSMETICS, INC.
We are alerting our valued customers, retailers and distributors that we are aware of the issue of NON-AUTHORIZED parties selling GIOVANNI on Amazon® and eBay®. GIOVANNI will NOT honor our 60 Day Money Back Guarantee for any product obtained through Amazon® or eBay® from Non-Authorized Retailers. We recommend that you use caution in buying products from Non-Authorized resellers, as product quality may not be what you have come to expect. Receive rewards, discounts, and hair style tips from Giovanni. Sign up now and receive 10% off your 1st order! "The shampoo and conditioner line healed my extremely dry curly hair. It’s amazing…" - D.L. You must be 16 years or older to submit this form. We will never sell or provide your information to any other company or organization.